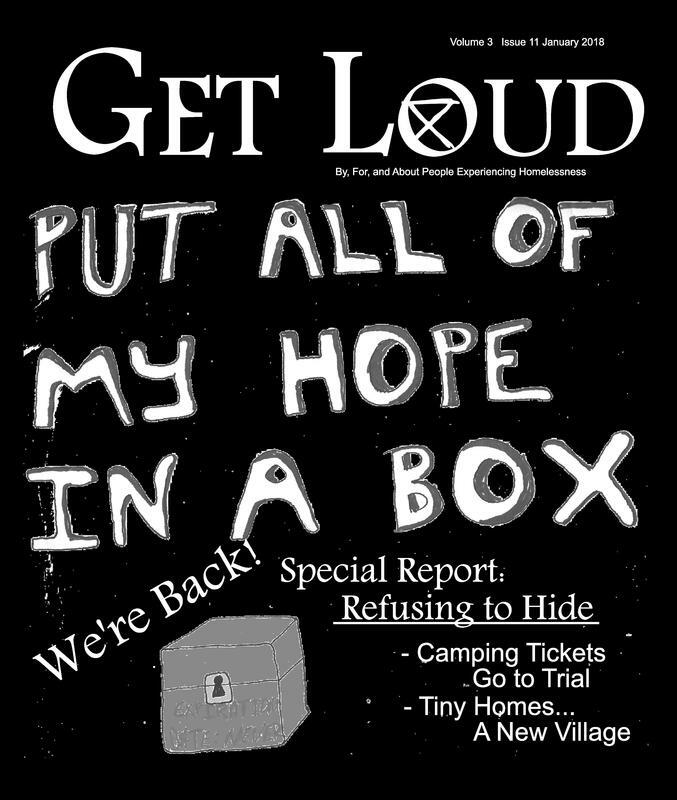 Get Loud is a submission driven publication produced by Denver Homeless Out Loud. It provides a platform which people experiencing homelessness can express their experiences, concerns and recommendations to the broader community in Denver; share the ways that public policy/actions affect their daily lives; become informed about developments that may impact them; and explore ways to work together to create meaningful change. There are too many misconceptions about homelessness today. We would like to dispel those misconceptions by telling our story. To often our story is told for us but not by us and the message always gets modified. So, while some of what we publish at Get Loud will b﻿e “raw” at times, [we are not professional journalists] it will be real. We trust in the truth. So in addition to many other things Get Loud is “our story”. A story we would like to share, a story ﻿we believe you will be very interested in once you have the chance to hear it.﻿ Get Loud will do our best to clarify facts (as they are submitted), but we don't want to distort the heart and the pulse of the submissions we receive. We feel that this is the best way to understand your neighbor (who is without a place to stay) and learn how to live with them in your community in a way that is a blessing to all.